Das Produkt benötigt eine umfassende persönliche Einweisung für eine sichere Handhabung und ist deshalb nur über den stationären Fachhandel erhältlich. 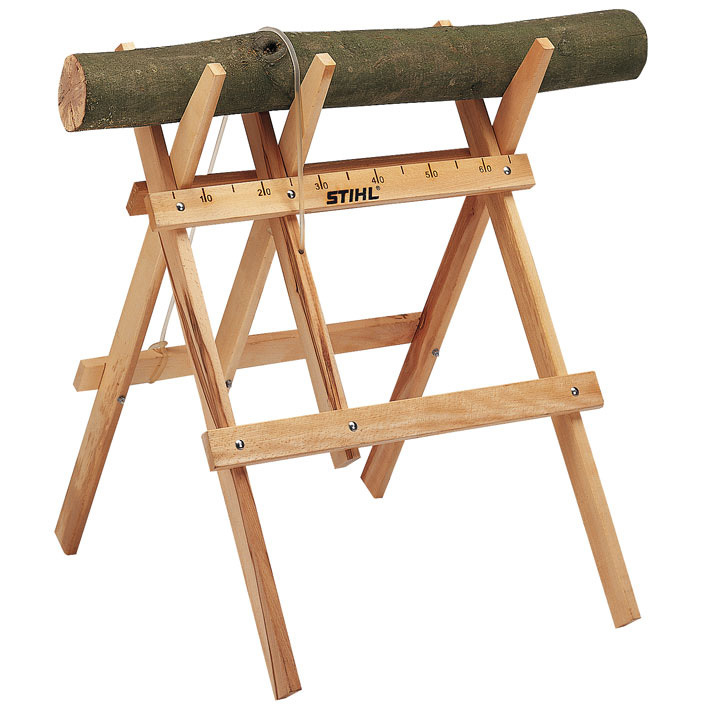 Stable lightweight wooden frame, Integrated ruler for easy measuring, Suitable for use with chain saws or hand saws, easy to use securing device keeps the wood stable, Comfortably holds wood up to a maximum length of 1.8m (71”), Holds a maximum load of 70kgs Folds flat for easy transport and storage. *Prices are valid from the 1/3/19 to 30/4/19. STIHL stores are operated as independent businesses. 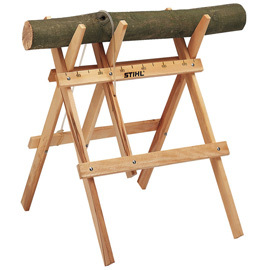 The products described in this website may not be on display or available at each STIHL store. STIHL reserves the right to change pricing at any time without notice. The version(s) available in each country may differ from the above range and specifications; specific details may be subject to change without notice. Please ask your local STIHL Approved Dealer for further information.